Kendra Penski is a Licensed Clinical Social Worker. She has been in the field providing therapy to clients for over 10 years. Kendra has extensive experience working with individuals and couples. She also has spent several years providing counseling to active duty military and their partners. In addition to her private practice, Kendra also works part time with the VA providing counseling to individuals with PTSD, depression and anxiety. This work has given her a keen ability to understand the military culture and to learn ways to best help this unique population. Having family members and close friends who have served in the military has also led to her increased understanding of some of the challenges our military members face as well as the families that support them. Kendra has worked with clients from varying backgrounds and has experience with a multitude of issues including relationship issues, anxiety, depression, stress and transitional life issues. 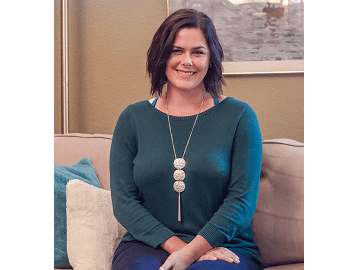 Kendra is a certified provider in both Cognitive Processing Therapy and Prolonged Exposure Therapy, both of which are empirically supported treatments for victims of trauma and PTSD. Kendra graduated from San Diego State University with her Masters in Social Work. 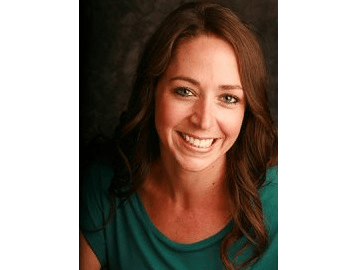 She is an active member of the National Association of Social Workers (NASW) as well as the California Association of Marriage and Family Therapists (CAMFT). Kendra serves as the Area Chair for the Human Services program at University of Phoenix and also teaches course in counseling at the University. Additionally, leads the University of Phoenix Honor Society and psychology club. “I am excited that you have taken steps to reach out for help. I love helping people work towards their journey and guiding them in achieving the life they deserve to live.” Kendra is in the field because she has a deep passion for helping others live their life to the fullest. Her compassion and understanding easily radiate through her work. Dr. Schairer is a Licensed Clinical Psychologist. She has been providing therapy to clients for over 5 years. Dr. Schairer has extensive experience working with individuals and couples. She also spent three of her training years providing psychotherapy in VA hospitals. In addition to providing treatment for common issues in veterans such as relationship issues, anxiety, depression, stress, and PTSD, Dr. Schairer also received specialized training in health psychology. She has helped many clients adjust to medical illness, including multiple sclerosis, cancer, renal failure, acute injury, loss of limbs, and spinal cord injury (among others). Dr. Schairer generally works from a cognitive behavioral perspective which integrates elements of other highly effective therapies, including dialectical behavior therapy, acceptance and commitment therapy, and mindfulness. Dr. Schairer has specific training in motivational interviewing, a widely researched method for helping people achieve behavior change (e.g. stopping smoking) as well as cognitive behavioral therapy (CBT) for sexual dysfunction, insomnia, and chronic pain. She also has experience helping people behaviorally manage chronic diseases such as diabetes. She is able to provide Cognitive Processing Therapy and Prolonged Exposure Therapy for clients with PTSD. Dr. Schairer graduated from Yeshiva University in New York City with a PhD in Clinical Psychology with Health Emphasis. She recently moved to San Diego and has become an active member of the San Diego Psychological Association. Candice Beaton is a Licensed Clinical Social Worker who brings her passion for helping and empowering others to her practice. Candice has been in the mental health and social work field for over 7 years where she has gained experience working with civilians and veterans alike. She has counseled clients with trauma, post traumatic stress disorder, depression, and anxiety throughout her work at the VA and various other treatment settings. Candice received her Masters of Social Work from Boston University where her focus was on mental health, veterans, and trauma focused treatment. Candice implements evidenced based therapies into her practice including Cognitive Processing Therapy, Cognitive Behavioral Therapy, Solution Focused Therapy, and Mindfulness Based Stress Reduction. Natalie Diaz is an Associate Clinical Social Worker working towards licensure in the state of California. 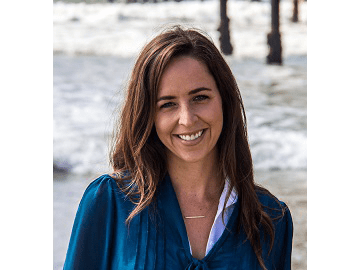 Natalie has been working in the field of social work and mental health for five years – three of those at the San Diego Department of Veteran Affairs. Natalie has experience working with civilians, military children and their families, as well as active duty service members and Veterans. In addition to providing therapy, Natalie works at the San Diego VA helping newly separated service members enroll in VA healthcare and address their mental health needs. 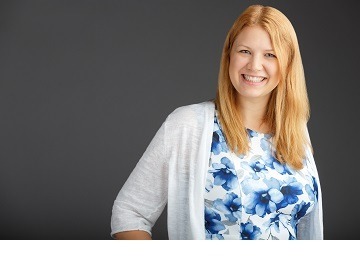 Trained in empirical based therapy modalities, such as Cognitive Behavioral Therapy, Problem Solving and Motivational Interviewing, Natalie is able to work with those struggling with depression, anxiety, PTSD, relationship difficulties and offer support. Natalie also has experience working with Military Sexual Trauma and Interpersonal Trauma. Natalie graduated from the University of Southern California with her masters in Social Work, with an emphasis in military mental health. Internships and previous work experience included schools, family visitation with Child Protective Services, working with the homeless population, mental illness and substance use, and military transition. 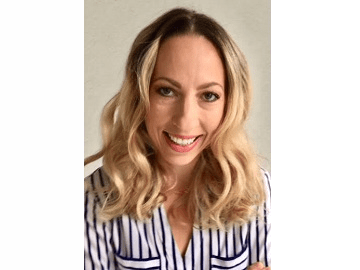 Vanessa Imus is a Registered Dietitian who provides adjunct nutritional counseling for anyone interested in finding out how food is further influencing their mental health. Food has such a HUGE impact on how you feel day in and day out. Eating the wrong foods for your body can cause fatigue, poor mental function, digestive issues, anxiety and depression, among countless other symptoms. Vanessa enjoys helping others identify which foods are working for them and which are working against them. She teaches clients how to make changes to manage a healthy diet in a way that works best for them. Having earned a Master of Science Degree in Nutrition from Bastyr University she is nationally and state licensed as a Registered Dietitian. Vanessa currently offers medical nutrition therapy to our San Diego clients remotely and to the local Seattle folks in person. Vanessa is excited to share nutrition and lifestyle remedies to help you feel and perform optimally through all of life’s challenges!